While Charcoal Lane still unfortunately doesn't have their liquor license but there's been some interesting changes to the menu. It's 10 out of 10 for presentation, just love the wooden peg. 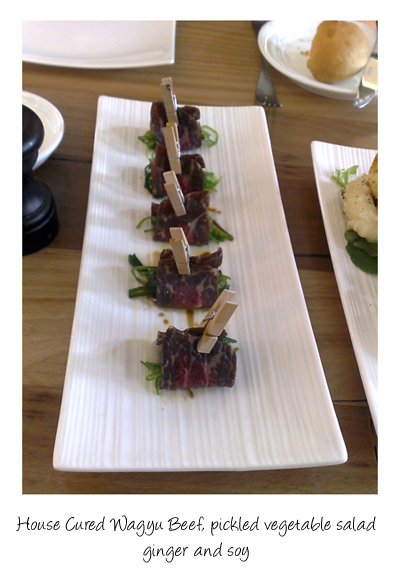 The pickled vegetable salad is housed inside a package wrapped with the cured wagyu and the peg keeps it all together. 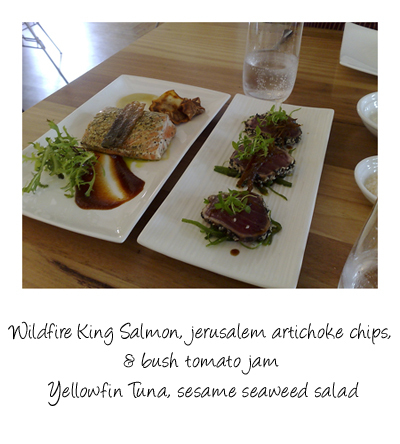 On the left is the wildfire king salmon, beautifully cooked, presented with a slice of crisp skin on top. On the right are rounds of sesame seed coated and barely seared yellowfin tuna served atop a seaweed salad - I could happily eaten all of this plate. 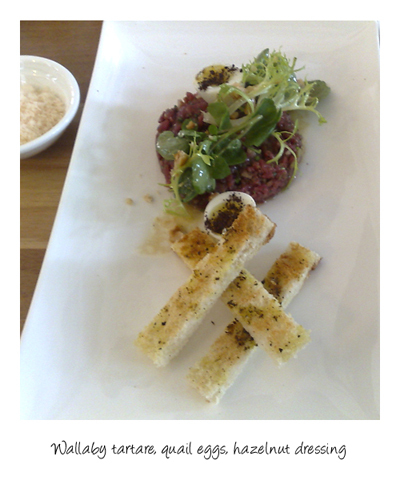 A lovely example of tartare using wallaby instead of beef - well seasoned, the wallaby wasn't gamey or strong, it just tasted like really good beef. The perfectly runny quail eggs were a treat. 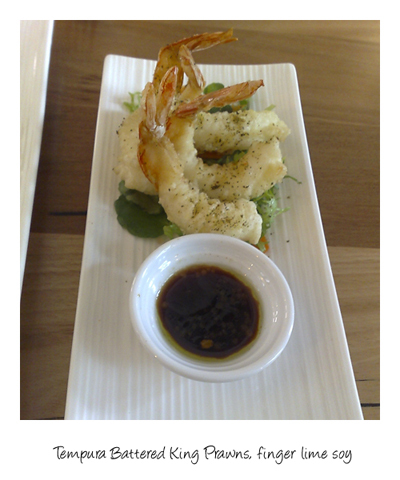 The tempura was light and crisp as you would expect, the king prawns, sweet and juicy. 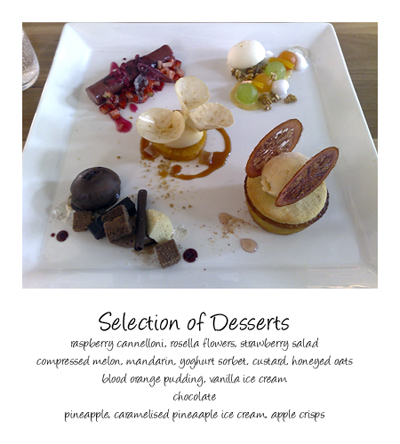 These are smaller versions of the 5 desserts offered on the menu. We were impressed after our first visit and this visit reinforces that opinion - if you've yet to visit, what is keeping you? Pegs! How very clever. I've finally booked my lunch for the new year, really looking forward to it. I'm definitely getting the dessert platter. You should be in luck - they have their license now.